Ford knows the first truck most boys loved was not an F-150, but a Tonka. 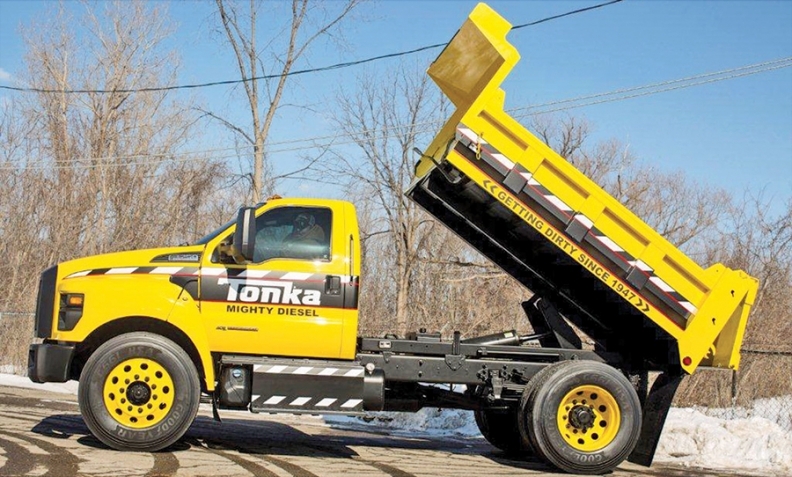 So last week, it had some fun at the annual NTEA Work Truck Show in Indianapolis by showing a real, working, life-size Tonka dump truck based on an F-750. Ford plans to roll out the Tonka at commercial truck shows this year. “People were taking photos with it all day,” said Ford spokesman Mike Levine. But, he said, there are no plans to offer a production F-series truck in Tonka trim.